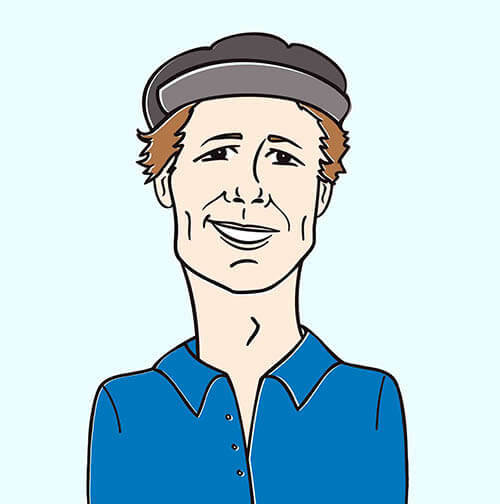 Hello my esteemed music video family, it’s Andy Gesner and the tireless staff from HIP Video Promo coming back at you with the newest video from true musical patriarchs. How many musical acts can honestly call themselves the progenitors of entire genres? The Chemical Brothers didn’t call their style “big beat” back when they were first combining dance-floor sophistication and rock ‘n’ roll simplicity in the mid-Nineties. But that sure didn’t stop a legion of followers from crediting the team of Tom Rowlands and Ed Simons with its invention. Exit Planet Dust (1995) and Dig Your Own Hole(1997) stand today as electronic-music classics: perpetually imitated by house and techno producers, but never surpassed. What’s more, the reverberations from the duo’s epochal, chart-topping collaborations with Noel Gallagher and Richard Ashcroft are still echoing – every time a club deejay enlists a recognizable rock voice to put his imprint on a track, that deejay is chasing after the mystique of “Setting Sun” and “Let Forever Be”. But as subsequent Chemical Brothers releases have shown (including the smashing success of Push The Button, which also spawned a major sync with Bud Select), this combo is much more than “big beat”. Rowlands and Simons are exciting and groundbreaking house music deejays, too, and their taste in samples and sound effects is refreshingly omnivorous. Elements of jazz, rap, techno, old-school rock and roll, and even folk music are present in their mixes and remixes. We Are The Night, their upcoming effort, will feature the usual heady, courageous collaborations – Midlake, Willy Mason, Ali Love, and Klaxons are all scheduled to appear. But if the lead single “Do It Again” is any indication, the Brothers are about to hit us with some back-to-basics, manic dancefloor energy. “Do It Again” carries with it some of the frenetic feel of The Chemical Brothers’s legendary live sets – it’s a three-minute party, a groove impossible to resist, and a clear template for imaginative remixers to come. Rowlands and Simons are also responsible for some of the most unforgettable clips of the video era. With its Bela Karolyi cameo, high-stakes Olympic gymnastics, and aggressive editing, the “Electrobank” spot stands as a landmark of three-minute hyperrealism; the clip for “The Test”, by contrast, featured sheer existential terror in the guise of a drug trip (or was it the other way around?) Those who’ve come to expect the very best from Chemical Brothers videos won’t be disappointed by “Do It Again”. The electro duo have brought in the globetrotting Michael Haussman – recent winner of MTV’s Best Video award for his work on Justin Timberlake’s Euro-stylish “Sexyback” – for an exercise in cultural cross-pollination of the funkiest kind. Haussman transports viewers to the same remote Moroccan village shown in the movie Babel. There, a pair of young brothers struggle to escape barbaric dentistry, and flee to the sanctuary of the desert. After the younger brother makes the older one promise that he won’t allow the dentist to take his tooth, something falls from the sky. It’s not a bomb – at least not literally. Instead, it’s a cassette tape with “Do It Again” on it (the song title and the words “Chemical Brothers” are scrawled in Arabic on the plastic). The brothers find a boombox, slip the tape in, and their world is instantly transformed. Everywhere they go, the people they meet are compelled to move to the music: old shopkeepers, devout worshippers, and police officers alike drop their reserve and find themselves getting down. The brothers seize control of a bus and ride it to the nearest sizable town, overcoming all opposition through the power of groove. Once they get there, the heist is easy: employees at the bank happily open the vaults and hand over the money, all to the rhythm of “Do It Again”. All this so the younger brother can afford a gold tooth? No, it’s more than that, too. This music shakes up the culture; it’s an injection of youth and energy into a staid world. Haussman sets his clip in Morocco, but it could really take place anywhere. The dusty old village setting throws the struggle between vibrant youth and moribund traditionalism into sharp relief, but it’s a battle that the Chemical Brothers have been fighting – and winning – all over the globe. We’re psyched to be working together with our pal Justin Nichols and the Astralwerks crew to bring you another stellar clip from their incomparable roster. They have also been kind enough to hook us up with lots of copies of the “Do It Again” single for all of your on-air giveaway needs, so let us know if you’d like to get your hands on them. If you need more info, call Andy Gesner at 732-613-1779 or e-mail us at HIPVideo@aol.com. 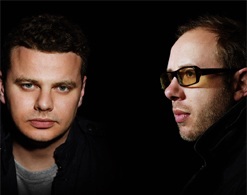 You can also visit www.Astralwerks.com, orwww.TheChemicalBrothers.com to find out more about The Chemical Brothers.